Black Canary burst onto the music scene in the pages of her solo series and now she's one of DC's Cover Girls! Designed by Stanley "Artgerm" Lau, our heroine is wearing her blue and gold costume, with a megaphone in hand. 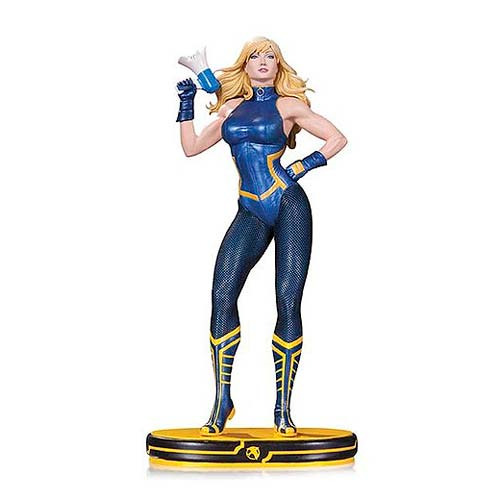 The DC Comics Cover Girls Black Canary Statue stands approximately 9 3/4-inches tall and is a limited edition of 5,200 pieces. Ages 13 and up.